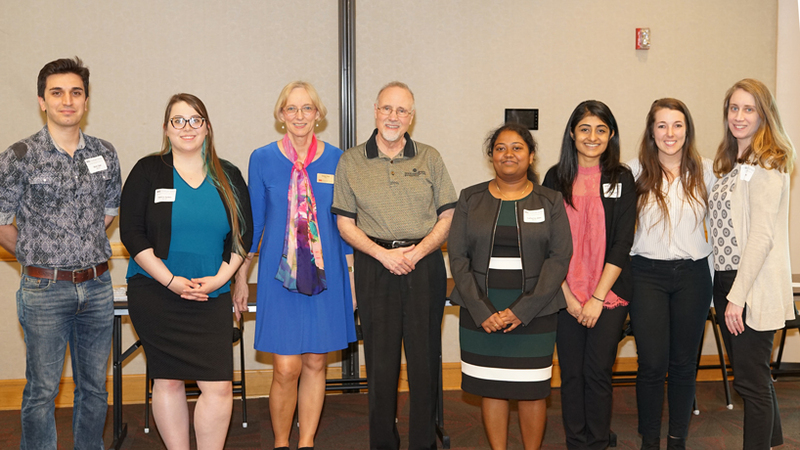 Catherine Alex, Tessa Vuper, Helena Spikes, Melinda Kittleman, Mohi Saki and Kruti Surti won awards for their work in natural or social and behavioral sciences. 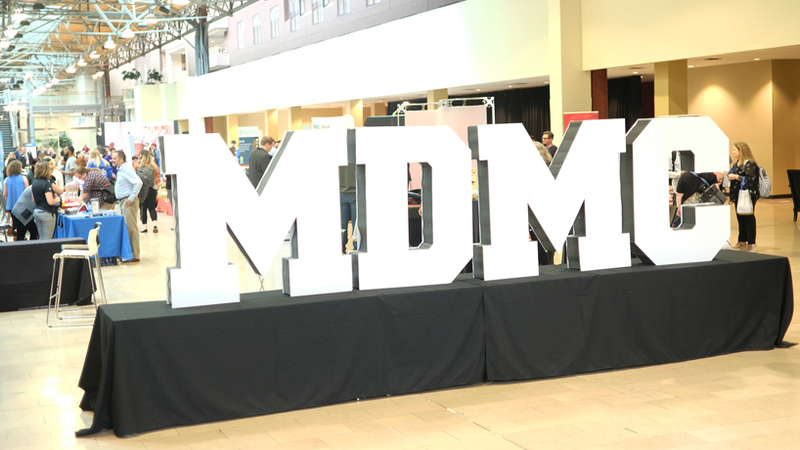 This year's seventh edition of the MDMC drew its biggest crowd ever – more than 1,850 – to more than 80 learning sessions and panels at St. Louis Union Station. 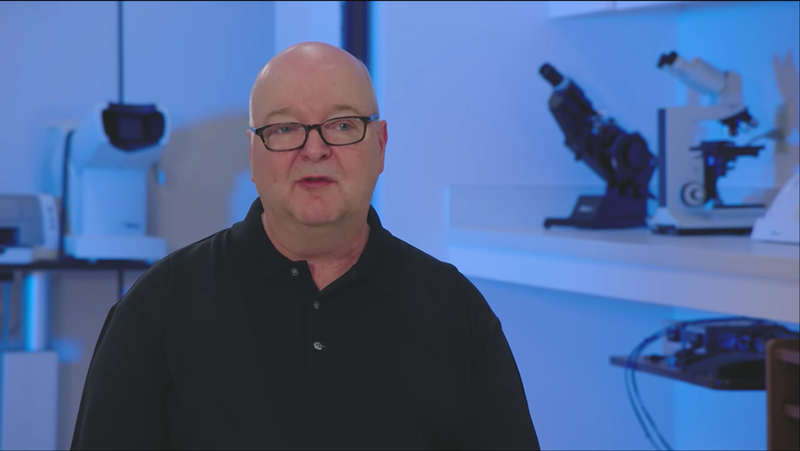 A team from Callaway shot the footage for the video and interviewed Optometry Professor Carl Bassi about his role in the Triple Track design over a two-day stretch in February. 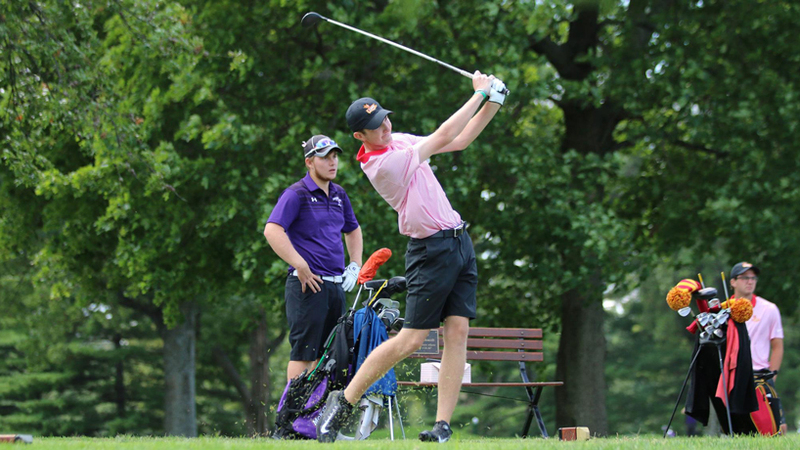 The men's golf team finished first in the stroke play portion of the GLVC Championships, claiming the top seed for Tuesday's match play. 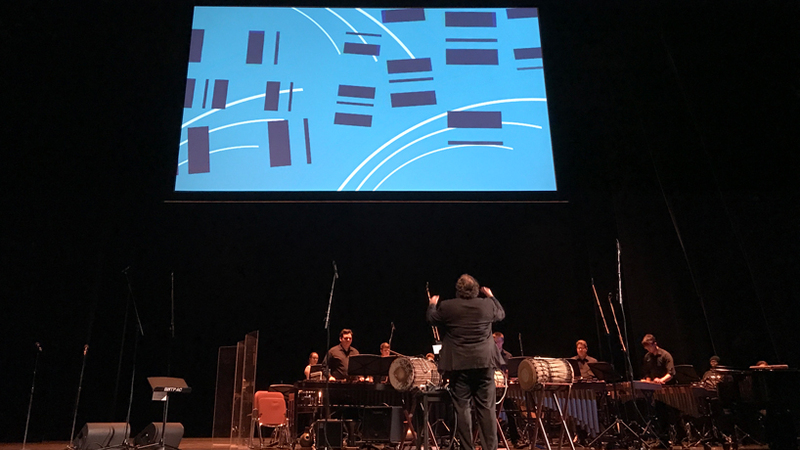 The design students each created one minute of animation to accompany the musical performance April 8 at the Touhill Performing Arts Center. 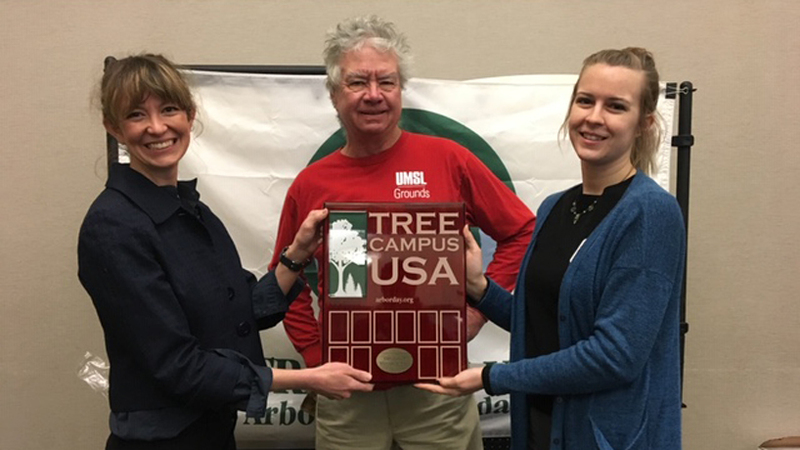 Katy Mike Smaistrla, Tom McCoy and Claire Tyson accepted a plaque to commemorate the honor earlier this month at an annual Arbor Day Celebration luncheon. 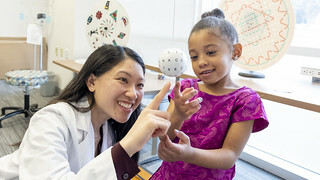 Resources such as the Online Mentor Program and supportive instructors helped the two RN to BSN students succeed at school after a collective 40 years in the field. 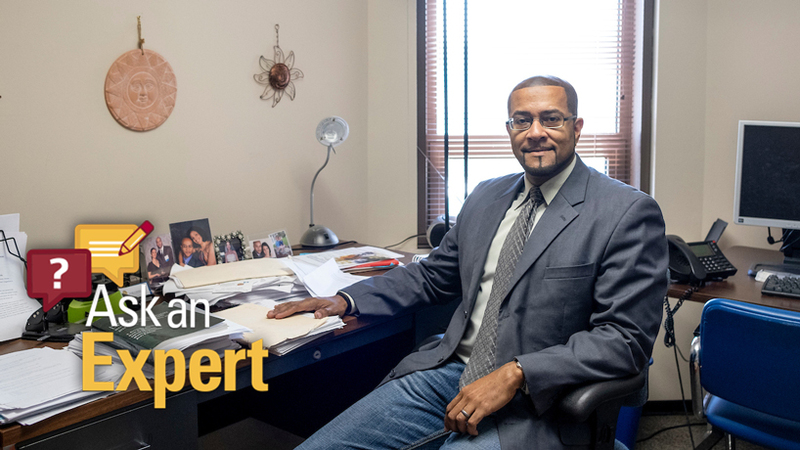 It's the latest organization of scholars to recognize the UMSL professor of Greek history and archaeology for his work focused on ancient Greece. Murray received a Journal of International Business Studies silver medal for her significant work in the publication. 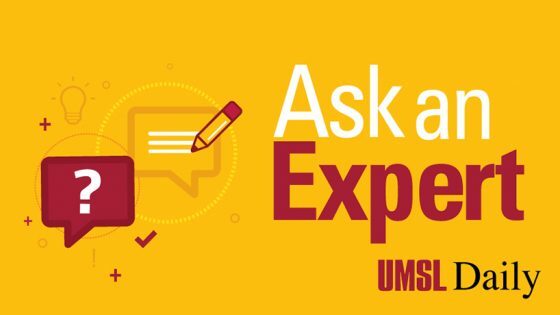 UMSL's director of jazz studies, who is retiring from teaching this year, founded the festival in 2004 and has served as artistic director ever since. Juniors and seniors from nearby high schools joined UMSL students at the kickoff concert last Tuesday at the Blanche M. Touhill Performing Arts Center. 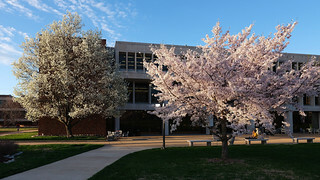 A cherry blossom tree started showing off its pink flowers on an early spring day outside of Thomas Jefferson Library, providing the perfect complement for a student taking in the sunset.